for customers who fail to show for their booking - we will take payment for the first night of your stay and cancel the remainder of your reservation. A little Backpacker Oasis in the heart of Queenstown with FREE unlimited WiFi and a warm welcome! Come and stay in true backpacker luxury! Everything at our Backpacker Lodge has been designed with the discerning traveller in mind, from the flat-screen TV's in the common areas and private rooms, to the custom designed wooden bunks with privacy curtains. Our private rooms have hotel standard beds & fluffy pillows, our lounge has an extensive DVD library, & our two kitchens have free herbs, spices, tea and coffee. We also provide every guest with free unlimited Wi-Fi for the duration for their stay, naturally! Whilst we are spread over 3 levels, we are a small Backpackers for fewer than 50 people. This means that there is more space for you to relax, meet like-minded travellers and plan your adventures in Queenstown. Our experienced staff are on hand to help with ideas and bookings - just come and have a chat! The cherry on top is our location. 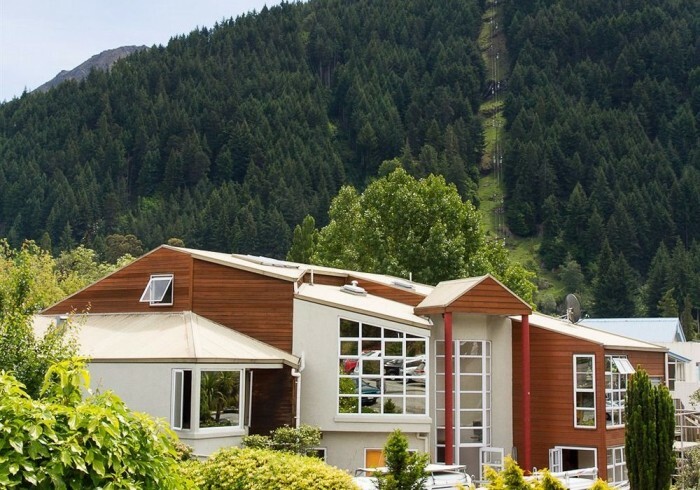 Haka Lodge is in the centre of Queenstown, yet on a quiet residential street. This means easy access to the town's many activities but also the reassurance of a peaceful night's sleep. The Lodge enjoys gorgeous mountain views which you can enjoy from our sunny deck.